THE EVIL PASSES FROM FATHER TO SON! The Angel gang are the meanest, most deranged villains ever to come out of the Cursed Earth. The all-male family of psychopathic criminal hillbillies first encountered Mega-City One’s greatest lawman Judge Dredd when he was on a quest to find the Judge Child. 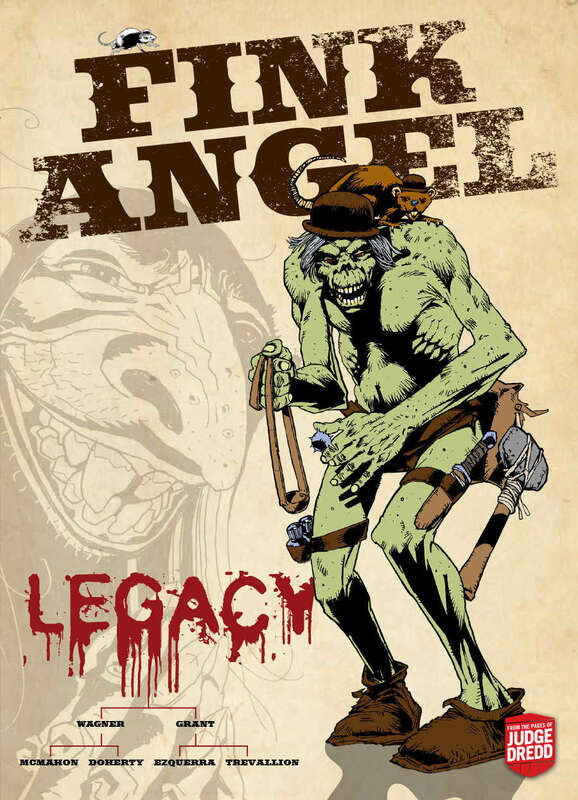 Having despatched Pa, Link, Junior and Mean, Dredd later came face to face with Fink Angel, the eldest sibling of the clan who visited Mega-City One in search of vengeance for his fallen kin folk. This digital edition includes the PDF version of the book. Judge Dredd fiction...available now in eBook formats!